අමු පලතුරු ඉදීමේ ක්‍රියාවලියේදී පලතුරු වඩාත් පැණිරස වන අතර කොළ පැහැයෙන් අඩුවී වඩාත් මෘදුවේ. මෙහිදී පැණිරස වැඩිවන නමුදු පලතුරේ ආම්ලිකතාව වැඩිවේ.This curious fact is attributed to the Brix-Acid Ratio. කෘත්‍රිම ඉදවුම්කාරක පලතුරු ඉදීම වෙගවත් කරයි. They allow many fruits to be picked prior to full ripening, which is useful, since ripened fruits do not ship well. For example, bananas are picked when green and artificially ripened after shipment by being gassed with ethylene. A similar method used in parts of Asia was to cover a bed of slightly green-harvested mango and a few small open containers of clumps of calcium carbide with a plastic covering. The moisture in the air reacted with the calcium carbide to release the gas acetylene, which has the same effect as ethylene. 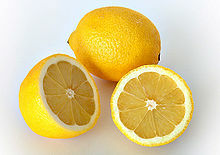 Ethylene is not emitted by the plant naturally, and cannot activate the ripening of nearby fruits, rather, it used as a hormone within the plant. කැල්සියම් කාබයිඩ් (Calcium carbide) සමහර රටවල කෘත්‍රිමව පලතුරු ඉදවීමට යොදාගනී. වෙනත් කාර්මික කටයුතු වලට යොදාගන්නා කැල්සියම් කාබයිඩ් වල ආසනික් සහ ෆොස්සරස් අංශුමාත්‍ර ලෙස අඩංගුවියහැකි බැවින් එම කැල්සියම් කාබයිඩ් පලතුරු ඉදවීම පිණිස යොදාගැනීම සමහර රටවල තහනම්ය. කැල්සියම් කාබයිඩ් ජලය හා මුසුවූවිට ඇසිටලීන් (acetylene) නිපදවේ. සැබැවින්ම කෘත්‍රිම ඉදවුම්කාරකය වන්නේ එම ඇසිටලීන්ය. Acetylene is believed to affect the nervous system by reducing oxygen supply to brain; however, it has been shown that, in practice, acetylene is not sufficiently reactive to affect consumers[තහවුරු කරන්න]. Catalytic Generators are used to produce ethylene gas, simply and safely. Ethylene sensors can be used to precisely control the amount of gas. Covered fruit ripening bowls are commercially available to increase fruit ripening. The manufacturers claim the bowls increase ethylene and carbon dioxide gasses around the fruit which promote ripening. Climacteric fruits are able to continue ripening after being picked, a process accelerated by ethylene gas. Non-climacteric fruits can ripen only on the plant and, thus, suffer from short shelf-lives. SmartFresh is a technology useful to maintain fresh-picked quality of whole fruits and vegetables. 1-Methylcyclopropene (1-MCP 0.14%) works with the ripening process to dramatically slow down ethylene production and prevent over-ripening and problems associated with aging. Iodine (I) can be used to determine whether the fruit is ripening or rotting by showing whether starch in the fruit has turned into සීනි. For example, a drop of iodine on a slightly rotten part (not skin) of an apple will turn a dark-blue or black color, since starch is present. If it stays yellow, then most of the starch had converted to sugar. ↑ Adel A. Kader (2002). Postharvest Technology of Horticultural Crops. University of California. පි. 157. ISBN 1879906515. http://books.google.com/?id=mDC6ogQT18EC&pg=RA1-PA57&dq=calcium+carbide+ripening. Lua දෝෂය in Module:Citation/CS1 at line 3565: bad argument #1 to 'pairs' (table expected, got nil). මේ පිටුව අන්තිමට සැකසුවේ 28 ජූනි 2013 දින දී, 16:34 වේලාවෙහිදීය.